Trump's "Crooked Hillary" image with the Star of David had been on a white supremacist forum. Donald Trump tweeted, and then deleted, an image on Saturday morning that had a Jewish symbol over a pile of money and a picture of Hillary Clinton. He retweeted it a few hours later without the Star of David. 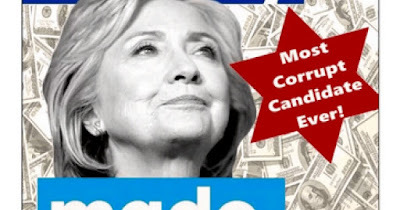 The Internet immediately recognized the Jewish Star of David in the image. 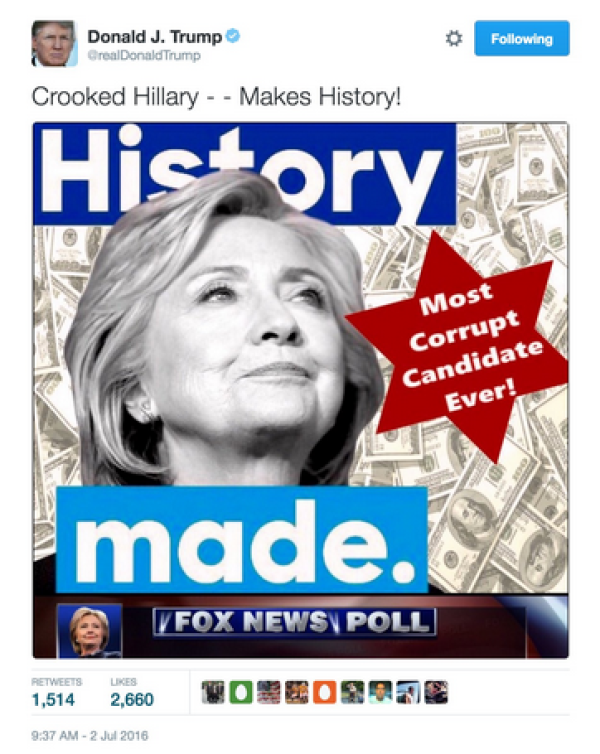 Since Trump’s anti-Semitic support has been pretty well reported, it did not go over well. 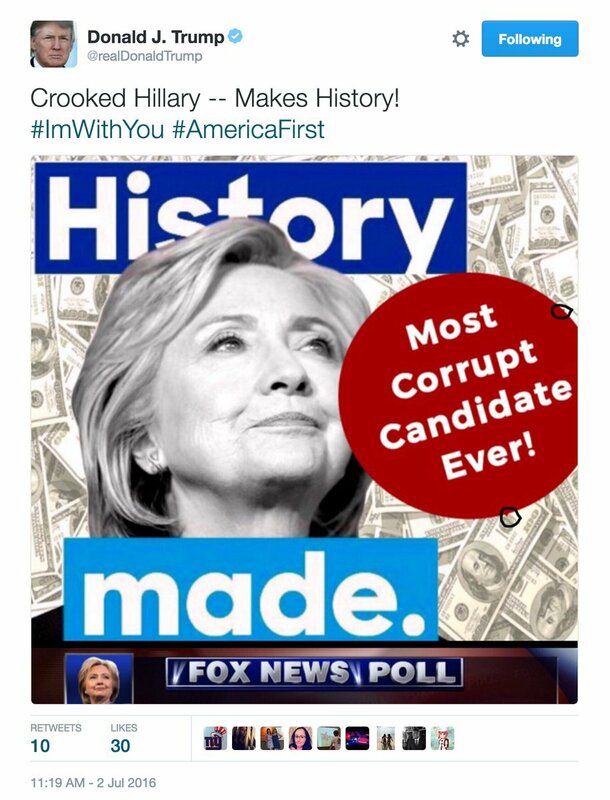 Trump deleted the tweet within two hours and retweeted it with it “Most Corrupt Candidate Ever” nickname written in a circle.